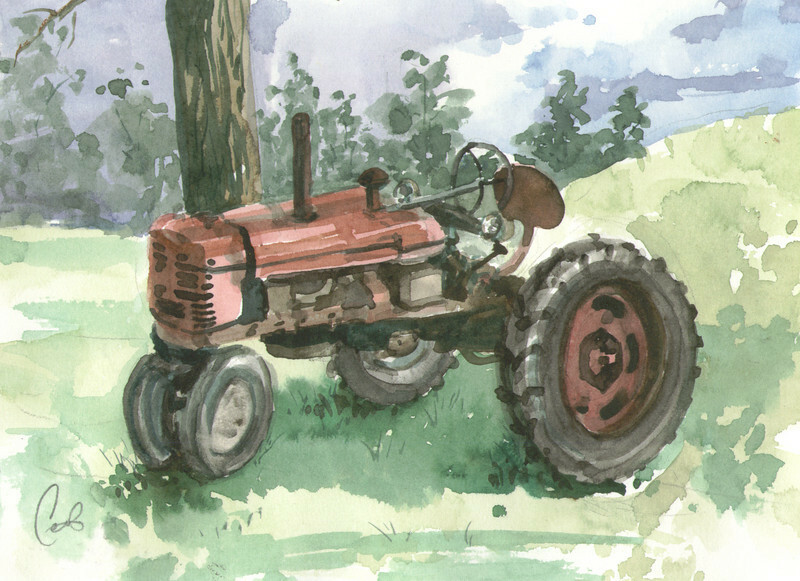 After the rainstorm cleared at the farm show, my friends and I sat down to sketch and paint the farm machinery on display. I'm sorry to say I don't have any further information on this particular tractor, other than it made me take a moment to think. All the food we eat, everyday, someone is planting, harvesting, shipping it to locations near our homes. It reminded me how much I take for granted. How fortunate we really are in this country.